Salt air fills my nose. The children play in stereo sound. The fresh breeze mitigates the burn. I have no strength to turn. 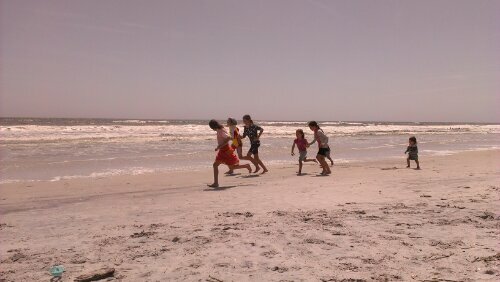 Children running on the beach.